A book press release is a statement that lets the world know about your book. It can be a fantastic tool for marketing your book because it tells readers why they’ll be interested in it, which increases your book sales. A press release is typically sent the same day your book becomes available to purchase. 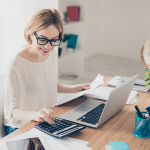 After writing a press release, the next step is to get it in front of the right people at the right time, which is both expensive and time-consuming. Hire eReleases, a nationwide press release distribution service, to deliver your press release to verified emails for journalists and media outlets. With a 94% delivery success rate, this means that eReleases gets your press release in front of nearly 100,000 journalists — giving you syndication across the country. Click here for 33% off. When writing a book press release, it is vital to follow the accepted press release structure and format. Media outlets, journalists and search engines will all expect to see this specific format so that they can find important information quickly. To ensure you get it right from start to finish, we’ve created a template to walk you through the essential elements and format. 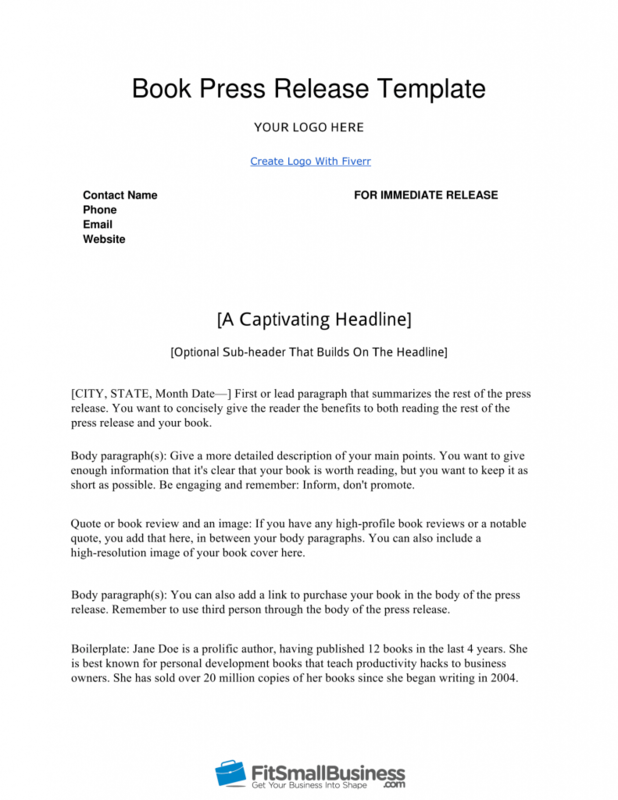 This book press release templates includes a layout to follow and instructions for the headline and subheadline, along with information regarding what should go in each section of your book press release. Here’s how to write a press release for a book in nine steps. The first thing you want to do before you start writing your book press release is to determine who you want to read your press release. By determining your audience first, you will be able to tailor the content of your press release in a way that grabs their attention. Ask yourself who is going to want to read your book? Who is going to want to know that your book is available? Who is interested in the topic of your book? You want your book press release to capture attention as if it’s the featured story on the front page of an important website or newspaper. Your book might cover a variety of topics, but you should write your press release with one specific and well-defined audience in mind. You will generate the most excitement and anticipation from potential readers if they feel like you are talking directly to them. Start creating your reader profile that outlines who your potential readers are. Start by asking yourself about their demographics, interests and behaviors. For example, what age group and gender was your book written for? Are your readers trying to solve a problem in their lives? Are they trying to escape into an enticing story? To guide you in this process further, read our step-by-step article that will help you create a specific customer profile with a free customer profile template. A health book that explains how to deal with health issues with natural remedies and cures. Middle-aged women, most likely with a family, and various obligations, who suffer with chronic pain that is inhibiting their daily life. They want to find natural solutions that work instead of taking more medicine. A leadership book that focuses on managing millennials in the workplace. Women and men in their 50s and early 60s who are in management roles at their company. They believe in a strong work ethic and are now struggling with communication, productivity and overall management of the wide array of ages of the members on their teams. A novel set in Ireland that is a mystery combined with romance and adventure. Women age 35 to 55 who read as an escape or hobby. They are interested in traveling and experiences as well as being enticed by the romance of reading a strong love story. A press release headline appears at the top and center of your press release as a title. Because the headline is usually the most eye-catching part of your press release, you want it to compel people to read your book right away. Your headline should be specific and focused, taking up 65 to 80 characters total. The ultimate goal of your headline is to capture the reader’s attention fully so that he or she reads the rest of your book press release and, ultimately, your book. While some feel they need to write their headline first to set the tone of the press release, others suggest that after you write the rest of your press release, you’ll have a better grasp of the overall message you want to send to the reader. If you make your headline the last thing you write, you might find that it allows you to express your thoughts into one well-honed headline. Here’s how to write your headline. Tying your book press release to something that is already in the news is called “newsjacking.” You take a story that is already being reported on, and you anchor your book press release to it. If you can find an angle that allows you to talk about a current event or a popular or trending topic, you will generate interest right away and be able to build on the traffic that topic is already getting on search engines and in social media. In the days following the Las Vegas shooting, one author who writes about the Constitution and gun rights in America wrote a book press release with the headline below. This headline draws the attention of anyone that is interested in the issue. However, it doesn’t give away the author’s point of view, which makes it intriguing. It also ties the headline directly to what is being talked about in the news, which gives it further impact since people are already talking about this topic. Use an active voice. A passive voice removes the reader from the action. You want to write a headline that is bold and encourages some type of action from your reader or promises action from reading your book. Use keywords in both the headline and body of your press release. 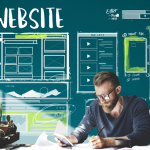 This will ensure that your release gets the most visibility online. Keywords are the words that people use to find information through search engines. For best results, you will want your keywords to be in the first one to three words of your headline or in the first 65 characters. If you choose to pay to distribute your press release through a service like eReleases, having these keywords in your headline will play a critical role in its overall visibility because it makes it easy to find in online searches or by media that are looking to report on a specific topic of interest. You will want to double-check that you have used the correct grammar and punctuation in your headline and throughout your press release. This will make it easier for media outlets to pick it up — as is, without additional edits. Since you are writing this press release about your book anyway, it is a good idea to demonstrate your flawless writing skills in your press release as well. Make sure to use title case when you are creating your headline. Title case means capitalizing the first letter of each word. One other thing to keep in mind with your press release formatting is, that most syndication or distribution sites, will not allow you to capitalize an entire word. Subheads are about 120 characters in length and appear directly below your headline. We know that 79 percent of internet readers scan an article before deciding if they should read it in its entirety. Subheads allow you to capture their attention and help them better understand what your press release is about. Here how to craft a descriptive subhead. 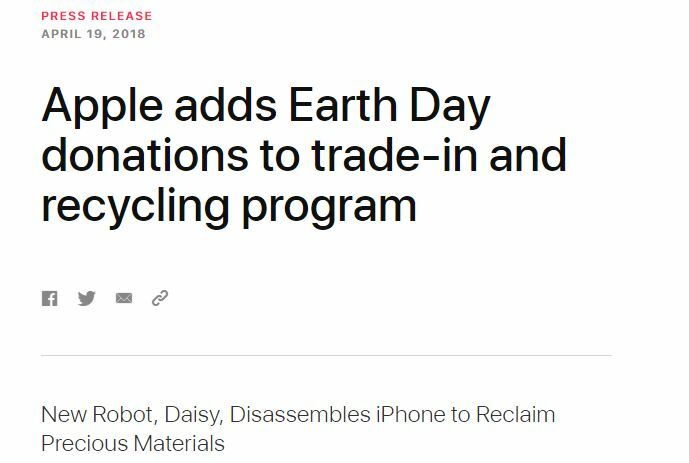 Apple Earth Day press release. You want your subhead to give more information to your reader while being consistent in tone and structure with your headline. Below is an example of a subhead that builds off the headline. The headline is specific toward what Apple is announcing in its press release. The subhead while more fun, adds to the intrigue and gives more information about their new program. If you are offering advice or expertise in your book, it is important that you demonstrate your credibility. Here is an example of a press release subheading that gives credibility to the authors right away. “The Three Stages of a Physician’s Career: Navigating from Training to Beyond Retirement” press release. The first paragraph of your book press release — sometimes called the “lead” — needs to be as impactful and engaging as possible. You want to give the reader an overall summary of what the rest of the press release will be about, which will focus on the topic of your book. You want to keep your first paragraph at less than 60 words. If you do that, you will have a better chance of getting picked up by media outlets. Here are some things to keep in mind as you write the first paragraph. Your press release should begin with the date that you want the release to be live and the city that the press release originated in. Many media outlets will look for this when deciding when to pick up your press release. Many readers won’t make it past your first paragraph, so you want to give the most pertinent information here. You can start this paragraph by briefly answering the questions that your reader will want to know. But be sure you keep it short; you can expand it more in the next step. Your goal is to summarize the entire press release in this paragraph. 1. Who: Who is the author? Is it one author or a team? 2. What: What is the author’s expertise? What is the topic of the book? What was the motivation for writing the book? 3. When: When was the book written? When is it available for purchase? 4. Where: Where can the readers get the book? Where was the book written? 5. Why: Why did the author decide to write this book? Avoid industry jargon or other words that your reader might not know or understand. It is important that your reader can completely understand your writing style. Example of a compelling first paragraph. The second paragraph of your press release will contain more of the details regarding your book. You want to include the highlights of the book, benefits of reading and any other compelling information in 300 to 500 words. The body of your press release is also where you can include quotes, images and links. Here are a few things to remember as you write the body of your press release. The body of your press release is where you will get into the detailed description of what your book is about and why it matters to your readers. You will build on the overview you gave in your first paragraph and add more details here. Your press release should be focused on giving relevant information that will compel readers to buy your book but is not overly self-promotional. If written correctly, your press release will drive sales. However, it’s important that people feel that you are giving them valuable information in your book press release, not just trying to sell your book. Since the goal of this release is to get people to pique interest and inspire people to buy your book, you should end this paragraph with a purchase link. If you don’t have a purchase link yet, you can include the date the book will be available for purchase. By adding a book review or a quote about your book to the body of your press release, you can add quite a bit of emotional appeal. You want to keep this quote or review around two sentences and try to choose one that is directly relevant to your book. The quote should come from someone who has a solid reputation in reviewing books or in your specific topic. The ‘boilerplate” is basically your “About” section, that appears at the very bottom of your press release. This is where you can write about your background as an author, how many books you’ve written, perhaps where you wrote your book or who or what inspired it. Your boilerplate should be less than 100 words. Depending on where you are planning to distribute your book press release, you might want to add contact information to the end of the press release. If you are using a newswire service, as we will talk about in step 9, you will most likely need to add basic contact information to the bottom of the press release. As you finish writing your press release, you should check to be sure you’ve followed some basic formatting. If your formatting isn’t correct, many journalists will not look at it because it will seem to lack credibility. Read over your press release to be sure that each of the industry standards we have gone over have been adhered to. If your press release is ready to be distributed, you should include the words “FOR IMMEDIATE RELEASE” at the top of your press release. If you want the media to hold this press release until a certain time, that is called an “embargoed” release. In that case, you would want to put the words “Embargoed for Release” and then add your date and time you want the articles to go live. You want your release to be ready to be picked up by popular and well-read news outlets. One way to be sure that happens is to write with a similar font that news organizations use on their websites. Usually, this means using Times New Roman or Arial fonts. For easy readability, use standard font sizes. Your headline and subheadline will be slightly larger than your body text. Be certain that you have only use third person pronouns throughout your press release, including in the boilerplate copy. It is important to write this way so that your press release won’t require additional edits before being picked up on major media outlets. Once you are confident that your book press release is ready to be sent to media outlets and journalists, you can start the process of distributing it. This is the most important part of public relations. It’s where your press release goes into the hands of the journalists who can increase awareness for your new book. You can start distributing your press release a few different ways. Using a syndication service will ensure that you get maximum exposure for your press release. When you use a service, you will use a form on their site to write and format your press release, and then they will distribute it for you. If you use a credible syndication site, like eReleases, for your distribution, you will be able to reach thousands of news agencies, including TV stations, major news networks like Fox News, MSNBC and other news journals and websites. The cost for this service is typically between $99 and $300. In addition to reaching out to the media, you should always post your press release on your website or your book’s website to increase overall visibility. If you use a syndication service, posting your press release on your blog or website will not be considered duplicate content by search engines. In fact, posting it on your website or blog along with using a syndication service will increase the exposure of your press release. Once you have a link either from your website or from your press release getting picked up by news outlets, post those links to your social media pages, so that your fans and followers can see, like, and share them, as well. A book press release can be a fantastic and useful tool to get the word out about your book. In order to get the most benefit out of your press release, it is important that you include the things that the media and press will be looking for, in the format that they are most used to seeing. Remember to keep your press release concise and engaging, and you will get more exposure for your book, a stronger readership base, and more sales for your current and future books. If you want to ensure that you get media coverage, look into a service like eReleases. By using eReleases, you can be certain that your book press release will get distributed to the best media outlets and journalists. Check out eReleases today and receive 33 percent off your first press release. Very useful and clear information. Thank you!